Do you need microwave repair in Airdrie, Alberta? Our trained specialists are ready to provide it for you. We are certified to repair all kinds of kitchen and laundry appliances in the home. There is not a make or model we won’t work on. We are small appliance repair experts. Our techs w ill fix all types of microwaves. We carry the best tools and parts for the job. If you need a pro to fix your appliance, turn to Appliance Repair Airdrie. You know if our microwave service is magnificent, it has to be good. Our service is so good we back it up with a customer satisfaction guarantee. It is safe to say this appliance is one of the most popular in the home. Some appliances are essential. But the microwave is simply very convenient. We can use it to cook meals, make popcorn, or heat up leftovers. It is one of those units we take for granted until it breaks down. We promise to take great care of yours. 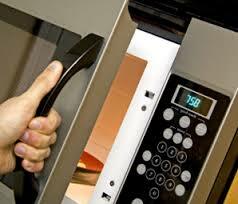 We are happy to offer quality microwave repair at a competitive rate. 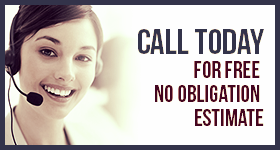 Our experienced techs will respond urgently to get your unit running again. Any spare parts we need can be found in our truck. We have the training and skills to fix these appliances fast. If your microwave breaks down, you may want to throw it away. Please don’t do that. Let one of our talented technicians take a look at it first. The problem could be something small and affordable to fix. We promise to give you an honest quote. You can count on us to look out for your best interests. At Airdrie Appliance Repair, we are committed to providing meticulous service. We will work hard to ensure you get the results you expect. If your microwave quits working, call us for Airdrie microwave repair. We will get to work for you.